Chronic obstructive pulmonary disease (COPD) is a lung disease defined by persistently reduced airflow caused by the collapse of lung tissue (emphysema) and dysfunction of the minor airways. It characteristically gets worse over time. The main symptoms include coughing, shortness of breath, and sputum production. COPD affects more males than females, though rates in females are growing. Smoking is the chief cause of COPD. Most patients who have this ailment smoke cigarettes or used to smoke. Long-term exposure to other lung irritants, including air pollution, chemical fumes, and dust, may also add to the development of COPD. Timely diagnosis and immediate end to smoking cigarettes are the most effective interventions to decrease the risk and to halt the advancement of COPD. The changes that would transpire in the lungs of a COPD patient may differ depending upon the precise nature of the illness. Still, the ultimate outcome is obstruction of the tubes that transport air in and out of the lungs. Blockage occurs in the airways themselves because of swelling and excessive mucus or phlegm. The most important exam for COPD is a lung function test known as spirometry. This involves puffing out as forcefully as possible into a small device that checks for lung capacity. The results can be confirmed right away, and the assessment does not include a blood test, exercise, or radiation. An X-ray of the chest can indicate emphysema. An X-ray can also dismiss other lung complications or heart failure. Good nourishment is significant in keeping the body healthy and strong. Muscle weakness and weight loss are common in patients with severe COPD. Those who are very malnourished, particularly those with emphysema, are at greater risk of early death than those with COPD who have a normal weight. A small, but increasing, form of investigation is establishing the helpfulness of pulse oximetry in primary care, mainly, but not solely, for the management of acute and chronic respiratory disease. Pulse oximetry is a technology that allows the non-invasive measurement of oxygen saturation, contributing to this measure’s quick acceptance as one of the vital signs in clinical assessment, in addition to blood pressure, pulse rate, respiratory rate, and temperature. While the technology has existed since the 70s, new developments have condensed the cost and size of pulse oximeters. As a result, these devices are more and more being used in respiratory patient monitoring in primary and specialty care practice. Pulse oximetry is beneficial in stable patients with severe COPD, and in those with worsening symptoms, as an instrument for home use to assist with their management of COPD, under physician guidance. It is imperative to note that pulse oximetry complements, rather than contends with, spirometry in the assessment of COPD patients. Spirometry remains to be the benchmark for diagnosing and staging COPD, whereas pulse oximetry delivers a way for speedy assessment, particularly of short-term respiratory issues. 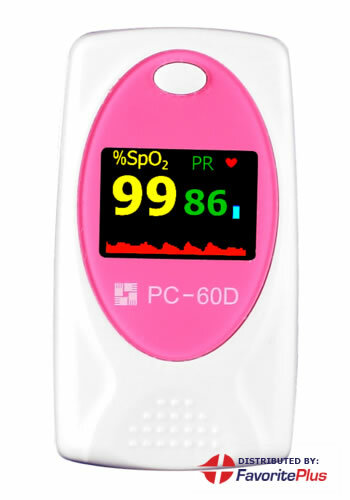 A pulse oximeter is an essential device that helps health care providers measure the amount of oxygen in the blood of patients when they visit a medical clinic or hospital. Small, easy to use, and battery-powered pulse oximeters are also obtainable for use at home. Regular checking of their oxygen saturation levels can assist patients in adjusting their oxygen flow at home, during exercise and other activities. It can also aid doctors in determining whether the patient’s COPD is getting worse.